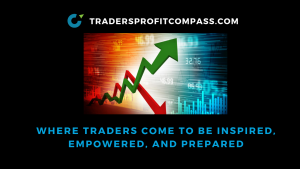 Trade volatile markets with confidence, poise and quiet fortitude by using the Daily Profit Compass market outlook as your guide. Detailed trading plans, key levels and timely commentary will keep you on the right side of the trade. Because of the number of charts and for your own convenience, a copy of the Daily Profit Compass can be downloaded from DropBox with this link. Subscribe to our YouTube Channel for more compelling and actionable content!! While you’re here, why not join our Trading Tribe! You’ll get a copy of my Daily Profit Compass, Weekend Profit Navigator, and other actionable content delivered directly to your mailbox each morning.